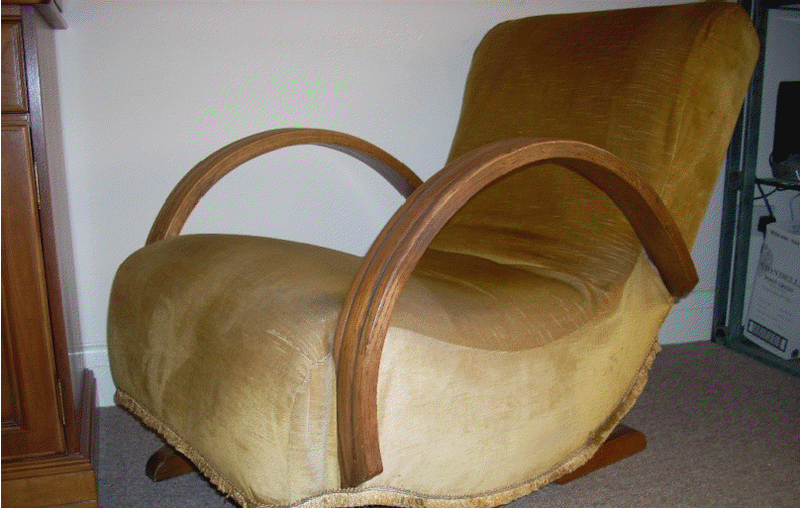 Whilst trawling round many antique fairs I came across this fabulous art deco rocking armchair. 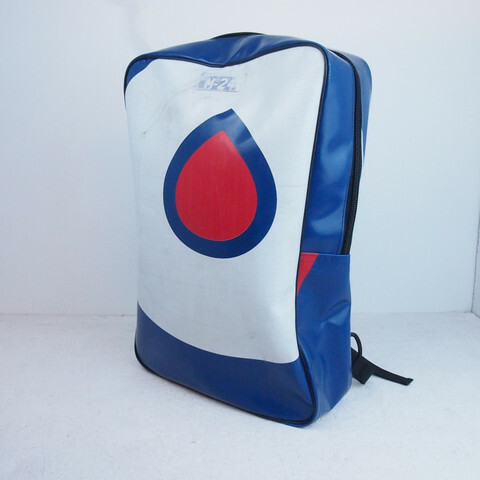 It works beautifully and despite the rather ugly material, it’s in very good condition. I couldn’t leave without buying it, so after a bit of haggling I whisked it away in my little red polo (just about) feeling rather happy as in my mind it was an absolute steal! Luckily I know a very very good upholster called Hickey and Dobson- Mary to be precise. 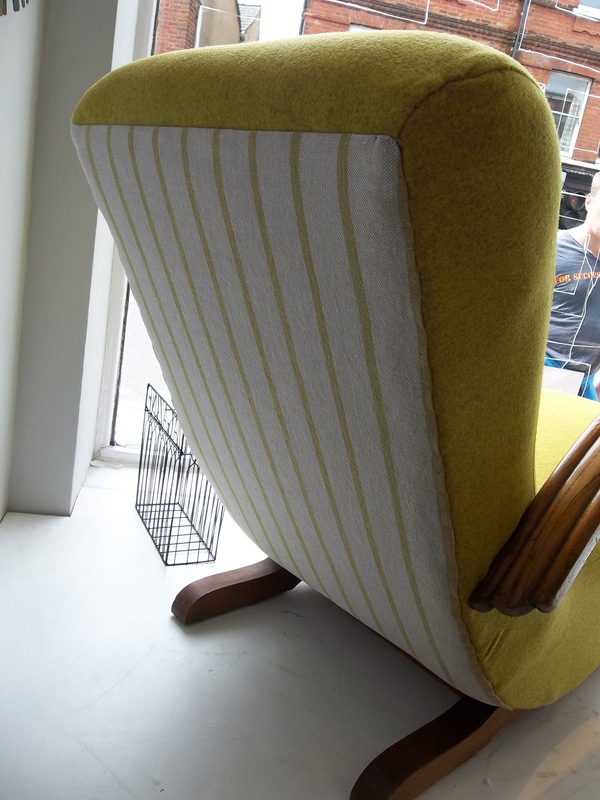 Mary showed me a couple of fabrics and designs I could choose from and I decided on an olive green woollen fabric on the front and a green and creme stripped fabric for the back…….. ta-da! 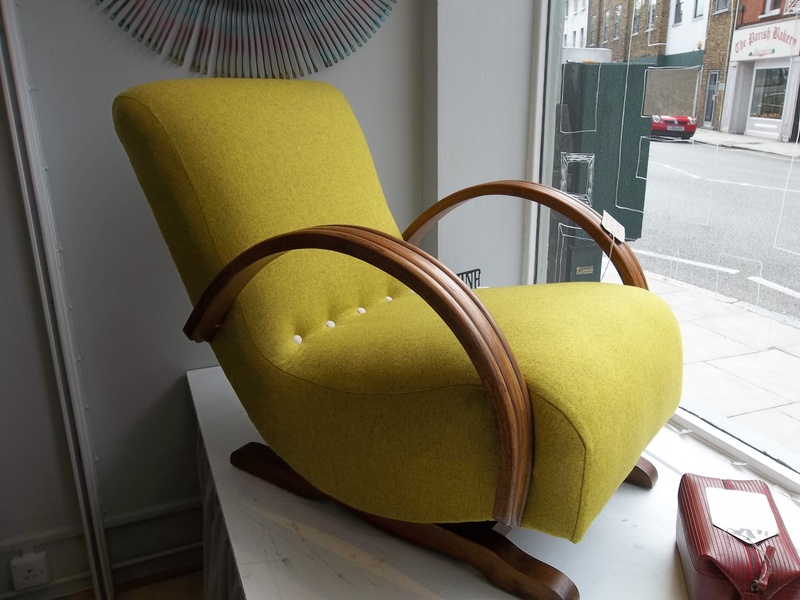 The new beautiful art deco rocking chair!! Green and creme stripped back. Mary really worked her magic and knows what she’s talking about! I absolutely LOVE IT! Eco Friendly Design at it’s BEST! 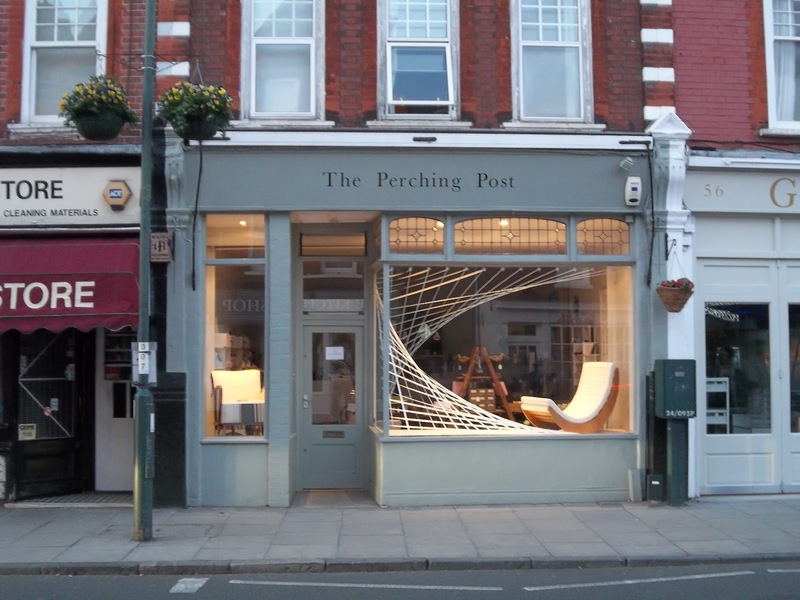 One of our most interesting suppliers at The Perching Post, based in Barnes London, are called Elvis and Kresse who make bags and accessories out of decommissioned fire-hoses. 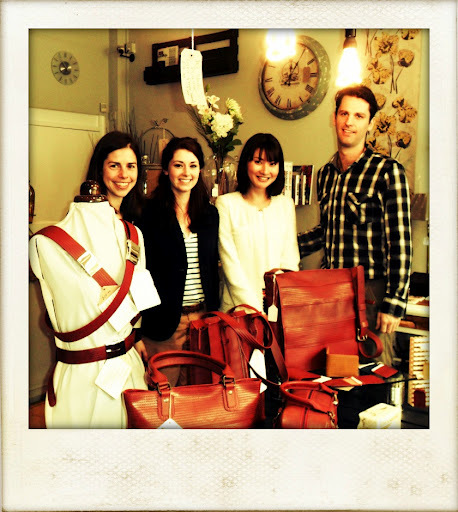 Their products are fantastic, high quality and manage to look chic whilst being eco friendly. So it’s no surprise they are getting quite a high profile in the media at the moment, featuring in Harpers Bazaar, American Vogue, The Times, The Guardian and The Evening Standard as well as many others. 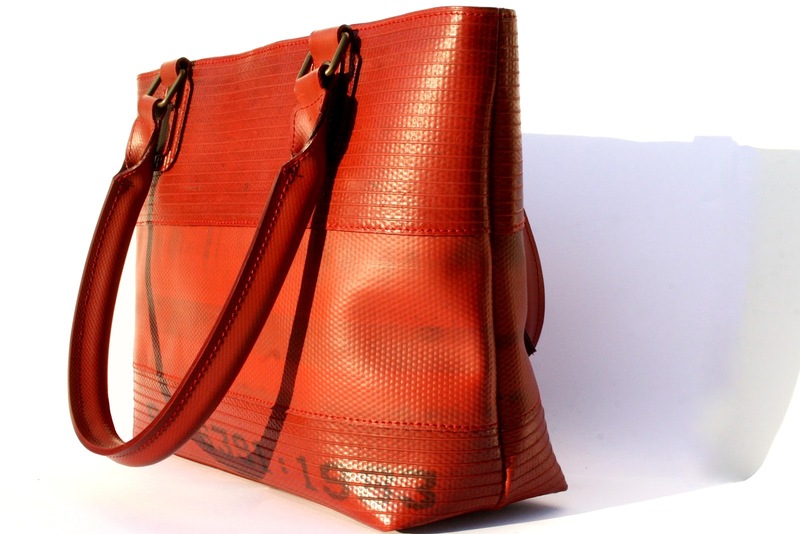 Tote Bag, made from decommissioned fire hose, lining is made from parachute silk. shop! How Exciting?! 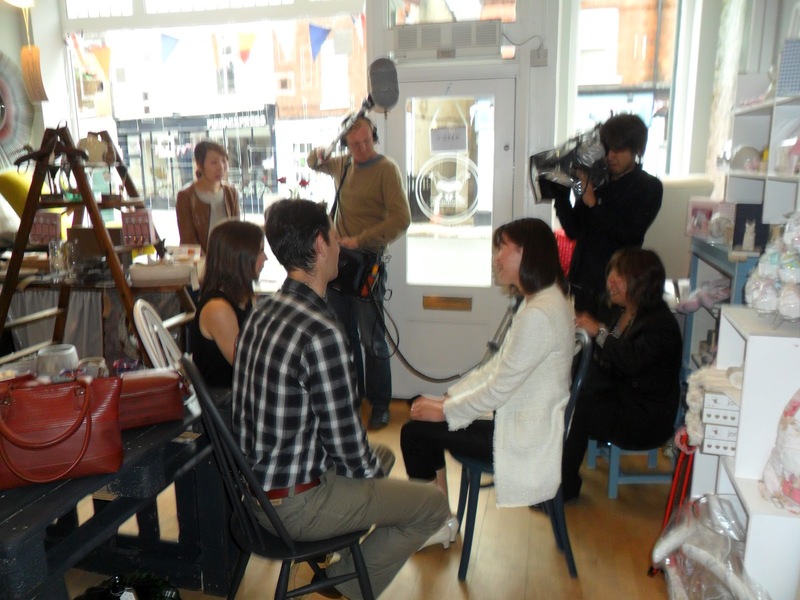 Obviously it didn’t take us long to say YES so on Monday 4th June whilst everyone was preparing for their Jubilee street parties a Japanese film crew were arriving at 8:30am for the interview. Elvis and Kresse were absolutely lovely and they had some very interesting points to make. 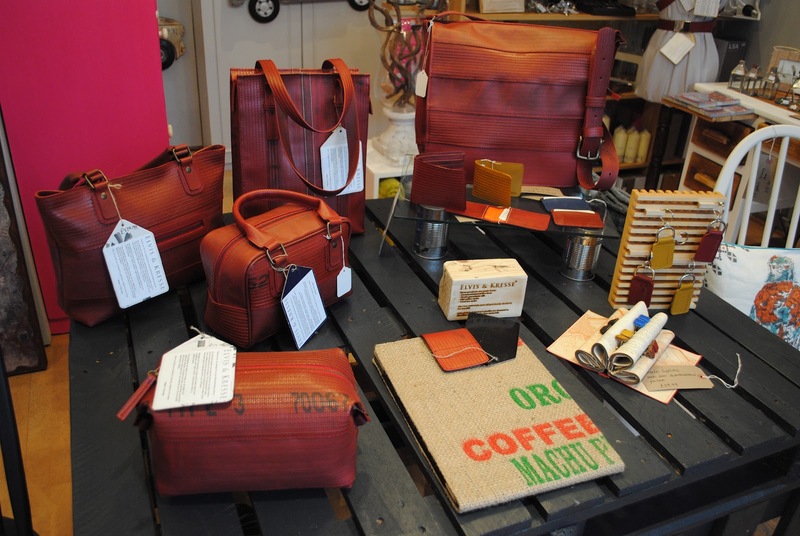 Elvis and Kresse uses a huge amount of recycled materials such as parachute silks, tea sacks, wooden palettes, coffee sacks, and of course decommissioned fire-hoses. Half of their profits are donated to charities related to the waste, here is there current list WWF, The Wessex Autistic Society,Help for Heroes, Comic Relief and of course, the Fire Fighters Charity in support of the work they do. Elvis and Kresse alone have made sure that no decommissioned fire-hose from London’s fire brigades go to Landfill and it is fast spreading across the UK. So here’s a thought, the more bags and wonderful gifts and accessories you buy, the more goes to these wonderful charities and less materials have to go to landfill thus saving the planet. I count that as a three way win, don’t you? !